Notes: Program gave me an error during installation, yet continued to install anyway. The benchmark main menu has three tests: Normal, Max and Min. Also known as "Romance of the Three Kingdoms Online." Sangokushi is the long-running turn-based strategy game series, first released in 1985. Sangokushi Online adds MMO and RTS elements to the gameplay. 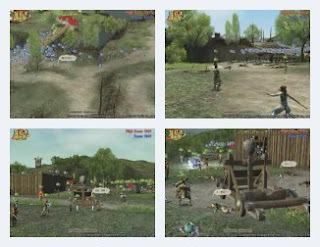 The benchmark sees various scenes of battle between two forces. Impressive character models considering the number of them onscreen. Sound volume is quite soft. Long running time. Recommended.